Are you having difficulty managing grief? 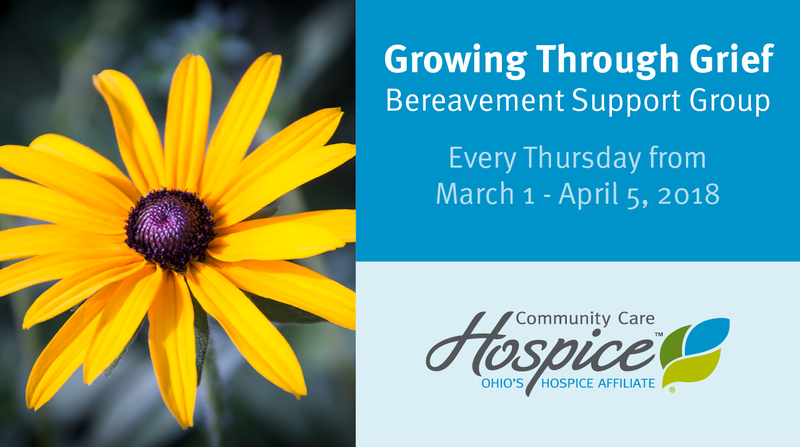 Join us every Thursday from March 1 – April 5, 2018, 2 – 3:30 pm for our grief support group. Advance registration is required. More details can be found by clicking here. To register, contact Michelle Kessler at 937.382.5400 or email michellekessler@communitycarehospice.com.